This site uses affiliate links & I may receive compensation if you click or a complete a purchase through them in this post. 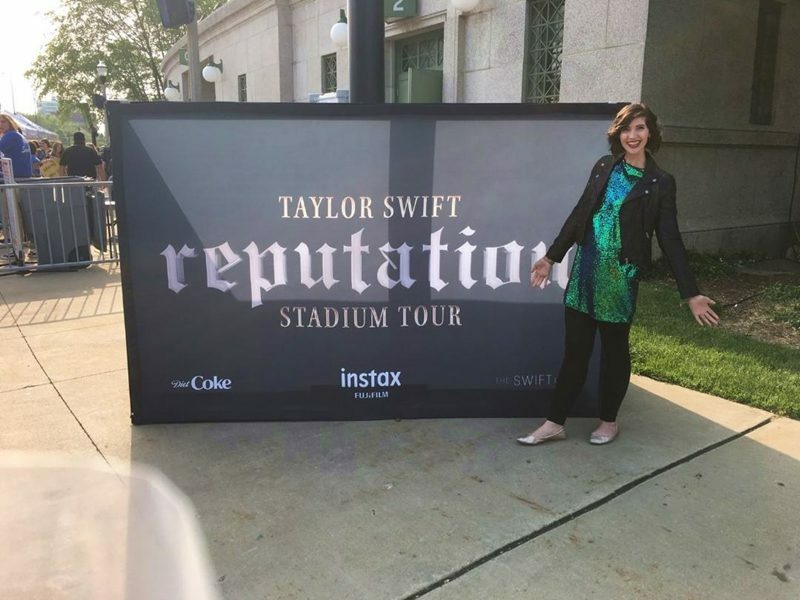 Saturday was one of those nights.. my friend invited me to Chicago to watch Taylor Swift perform on her Reputation tour and it was even better than my wildest dreams! We had amazing seats, were gifted special light-up bracelets to wear that synced up to each song, caught a bunch of T-Swift branded confetti, were dazzled by fireworks, and got to literally dance in the rain with Taylor when it started pouring for the final four songs. I can’t help thinking that was how it ought to be. I can easily say I’ll remember this concert for a long time to come! 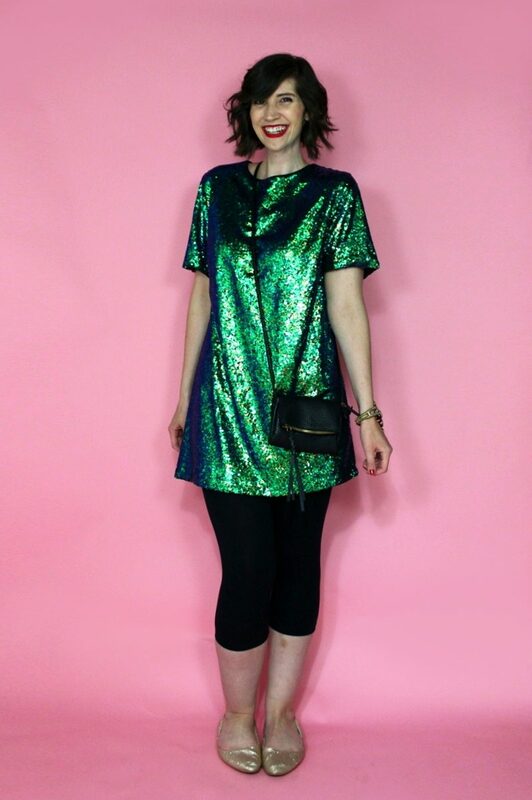 It also doesn’t hurt that I got lots of photos of the show + my outfit. Keep scrolling for the details! 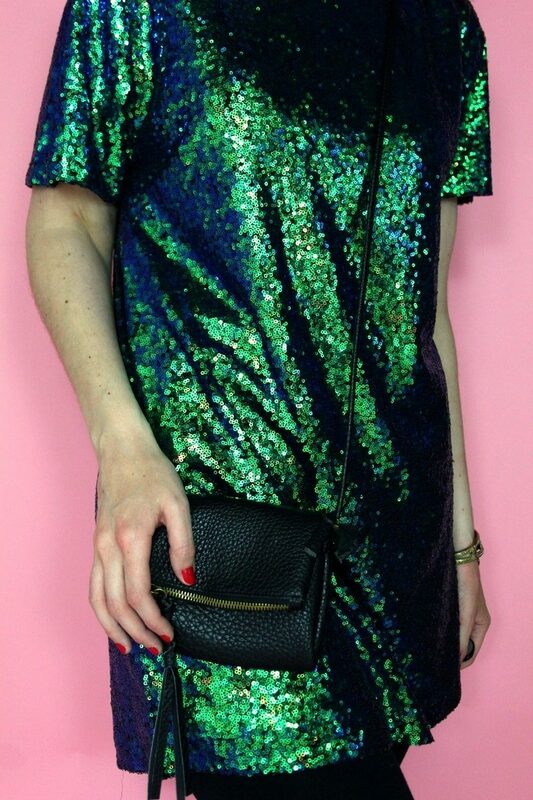 Going to this concert has been on my mind since last fall so I had lots of time to search for the perfect outfit but wouldn’t you know it, I didn’t find this shiny dress on thredUP until just 2 weeks ago?! Talk about last minute! 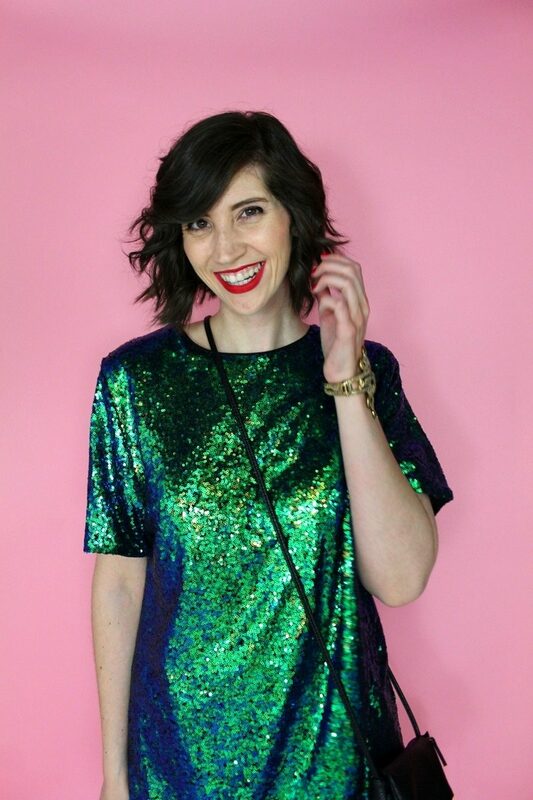 But I think I made a good choice as I saw lots of other Swifties rockin’ the mermaid sequin look, including my friend that I went with. I did have to add a moto jacket (also from thredUP!) as we had oddly cool temps and then the random rain shower. A highlight of the show for me was getting to see so many fans dressed in creative costumes and outfits. Everyone looked incredible! The stress of finding a dress doesn’t even compare to choosing the perfect red lip color. Ultimately I went with my trusty Ruby Woo by MAC as I’ve heard a rumor that Tay is also a fan of it. 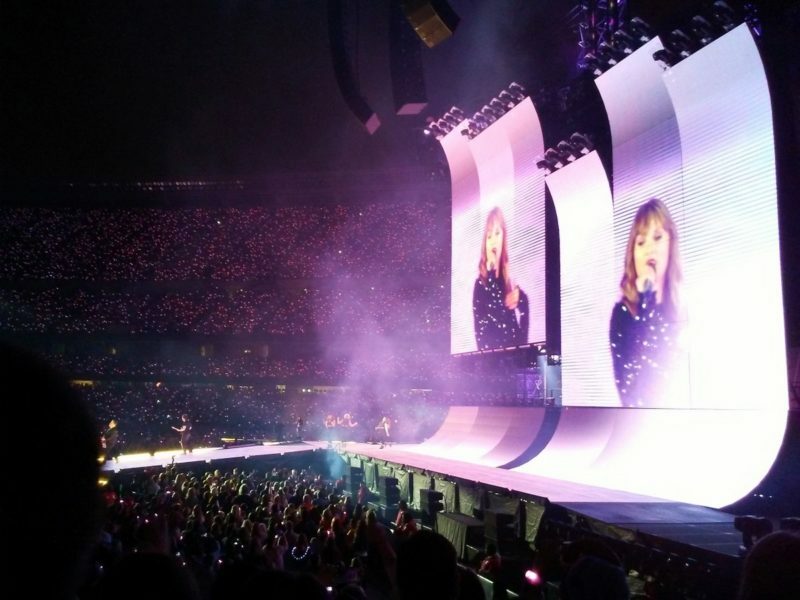 Overall the show was sweeter than fiction and I’d do it over and over again if I could. In fact, I’ll be doing something similar this Saturday, June 9th as I’ll be watching Pat Benatar (Love is a Battlefield!) perform this Saturday at the America’s River Festival in Dubuque, IA. Did you like this post? Then be sure to Pin it or share it with your T-Swift lovin’ friends! SUBSCRIBE TO THE REPEATER’S DIGEST WEEKLY NEWSLETTER FOR THRIFTY TIPS, SNEAK PEEKS, AND MORE!